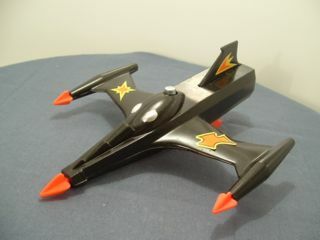 This model is the Dinky 362-G-1 Trident Starfighter in black. The model has orange harpoons on each wing and in the nose. 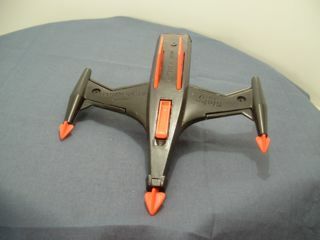 Each wing is decorated with a paper label in orange and yellow as is the tail. 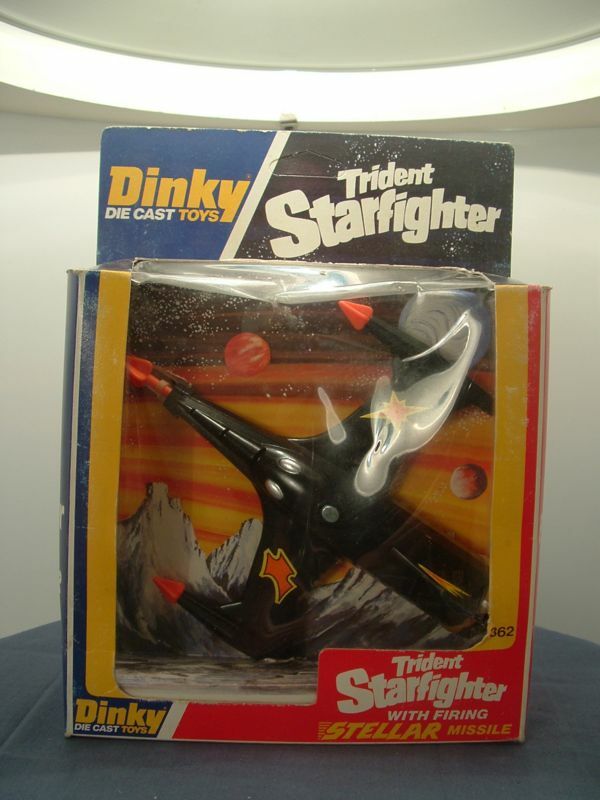 It is packed in a special Dinky Trident Starfighter box. This model has few working parts. The nose harpoon is fired by pressing the silver button at the rear of the "cockpit". Two spare harpoons are provided. on the base there is an orange panel that drops down to form "stairs" up to the cockpit. The base plate feels like plastic and is marked with Made in England. It is held in place with a single rivet. The undersides of the wings are marked "Dinky Toys" on one and Trident Starfighter on the other. 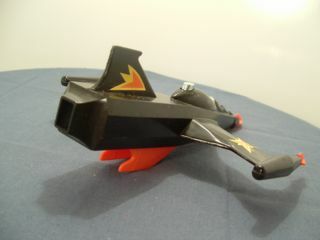 This model was issued 1979-80.